Yes you have finally found it! We know there are a lot of people that have been searching and wondering about the mysterious and mythology speakers that the studio elite in Sweden are using. The speakers had no name or many different names when spoken about and the only way to buy a pair has been via contact to someone already using them. The speakers are SNAKE SPEAKERS and they are now available! 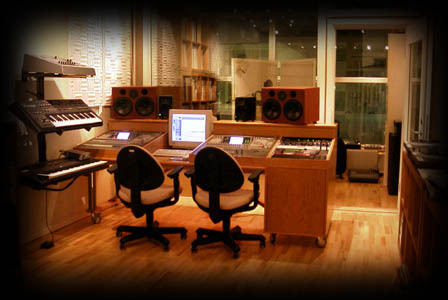 It all started back in1986 when Denniz Pop order a pair of OEM built main monitor to his studio. The requirements was a pair of main monitor that had the clarity, high definition, low distortion and bandwidth that usually comes with studio monitor, but this one should also be able to produced the SPL sound pressure experience at a club! 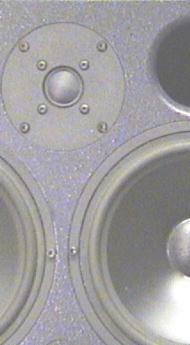 There was no studio monitors on the market that could produce high SPL with a tight and high definition bas response. They all went blurry and diffuse or could not simply produce the SPL. So this was the challenge! The result was the Ref1; the working name at that time was "The Tower". Anyone that has been in Dennis Pops control room at Cheiron Studios knows that the result is just truly astounding and a experience you newer forget. Today the studio is run by Kristian Lundin, the Location. Kristian is one the producer that started as Denniz Pop’s adepts. The sadly and to early deceases of Denniz Pop has had a deep impact on all of us but it is truly time to move on and continue with his spirit in mind. Among some of the privileges ones to own a pair Ref1 Snake Speakers are, Max Martin, Kristian Lundin & Douglas Carr. The Ref1 has only been build on customer order request in a very limited edition. 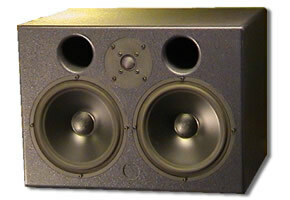 After the success with the Ref1, Denniz ordered yet a new pair of studio monitor. This time the requirements was a pair of near field for the mastering and cutting room, and the prerequisites was somewhat the same, there was no near field monitor available the market that was small enough but still capable of deliver the sound pressure and dynamics needed. The result was the S802 and it became fast the standard monitor in all major studios in Stockholm. The S802 has been produced in somewhat larger quantities but still in very limited numbers, and the only way to buy a pair was still if you had the right connections. Although S802 was designed as near filed monitor its dynamic capabilities has made it to a standard as main monitor in smaller control rooms. Designers of the Snake Speakers are Anders Hannegard and Johan Malmberg. Johan & Anders joined up in the challenge to design the studio monitors requested by Denniz. Both Johan & Anders has been designing professional speaker system fort more than two decades and the fruitfully co-design work of the Snake Speakers is to be continued and finally it is to be available for a broader audience.